Valentine’s Day is quickly approaching, and for those of you who have not yet decided what to buy for your loved one, there’s nothing quite as romantic and admirable as the gift of a rose, or a bouquet of roses for that matter. 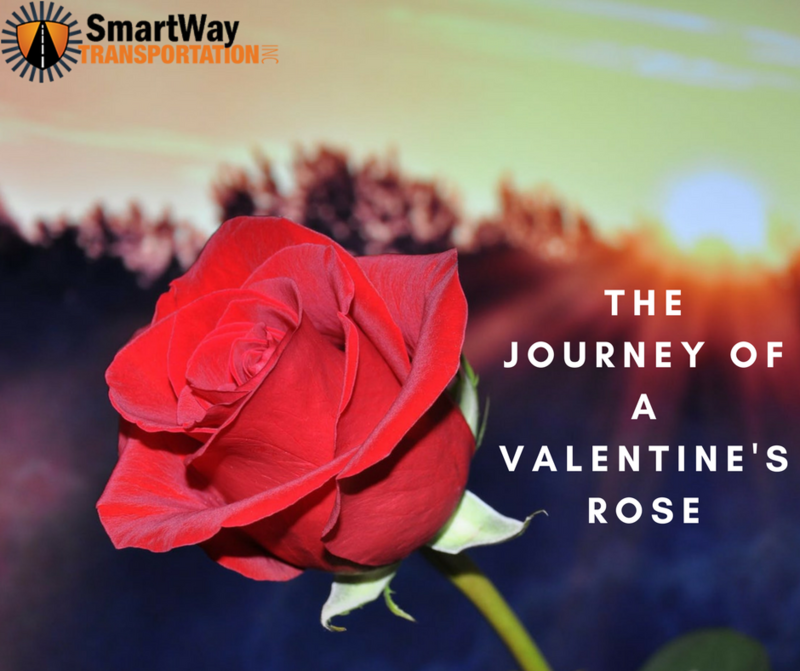 Have you ever wonder where all those Valentine’s roses come from in the middle of winter? Believe it or not, there’s a substantial amount of planning and logistics that’s necessary to make these fresh roses readily available for customers to purchase during the week of Valentine’s Day. The shipping of roses begins weeks before Valentine’s Day, when the flowers are cut in the field and cooled. Immediately, they’re taken from the farm, straight to the airport where they are flown into the United States. It’s estimated that roughly eighty percent of all flowers sold for Valentine’s Day come from Latin America, according to Fortune. Chris McCann, president of 1-800-Flowers, reported that around sixty five percent of his companies Valentine’s Day flowers come from Colombia, and around twenty five percent are produced domestically in the United States. More than 80 percent of all flowers imported to the United States are flown into Miami International Airport because of its close proximity to South America. Once the roses are in the United States, they’re taken from airport customs to a warehouse, where they’re assembled into bouquets, and cooled again to prevent early blooming. When they’re packaged and ready for shipping, the roses are then loaded into refrigerated trucks to begin distribution across the country. It’s important to keep the flowers refrigerated because it prolongs their shelf life and keeps the flowers dormant. In around eight to ten days after the initial harvest, the distribution trucks full of flowers make their way to independent retailers across America, where they’re duly prepared for display and potential purchase by customers. It’s essential that the correct cold-chain management and distribution protocols are used to transport these flowers; otherwise, your significant other is going to be stuck with boring, artificial roses that reek of apathy.